2012 has come to a close. Time to highlight the year’s best new mobile productivity apps. 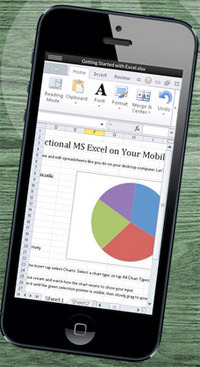 Here is my list of the best mobile productivity apps of 2012. There are apps for Android, iOS, and Windows Phone. All of these apps are either new or major updates. Nearly all the apps are free. CloudOn brings Microsoft Office to your iPhone and iPad and links it to your Box, Dropbox, Google Drive, and SkyDrive accounts. Create, review and edit Office documents. Built-in Adobe Reader and File Viewer lets you open and view a wide variety of document formats, including PDF, JPG, PNG, GIF, and more. Available on Android, iOS. Price: Free. CallFlakes is an app to follow-up important calls. After each call, the app offers seven follow-up options, including email, text message, social network sharing, schedule a meeting, and set a reminder. App also provides Facebook Caller ID. Available on Android. Price: Free. 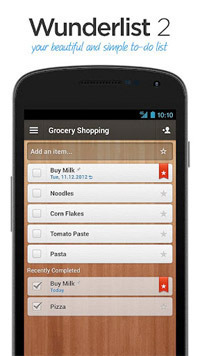 Wunderlist 2 is a simple to-do list and task management app that is now native for Android and iOS. The previous version was an HTML5 app. The new app offers expanded features, including push notifications and reoccurring tasks, as well as smoother and speedier functionality. Available on Android, iOS. Price: Free. Maluuba is a voice-assistant app for Android. Find exactly what you’re looking for with Maluuba search. Organizer features allow you to set alarms, create reminders and add events to your calendar. 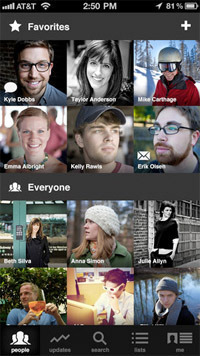 Social functions let you share with friends on Facebook, Twitter, and Foursquare. Available on Android. Price: Free. Paper is a simple and elegant drawing tool for the iPad. 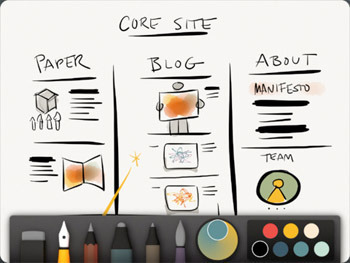 Capture your ideas as sketches, diagrams, illustrations, notes, or drawings — and share them across the web. Stream pages to Tumblr, send them over email, or share pages with your friends on Facebook and Twitter. Available for iOS. Price: App is free; buy additional tools from the in-app store. In October, Google updated its search app with Voice Search, allowing users to ask questions by voice and get spoken responses. The app is now a direct competitor to Apple’s Siri search. 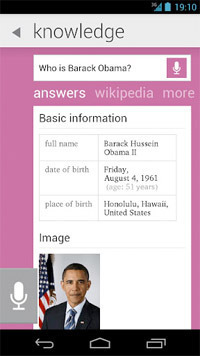 Voice Search is a feature of Google Search app for iPhone, BlackBerry, and Nokia S60 V3 phones. 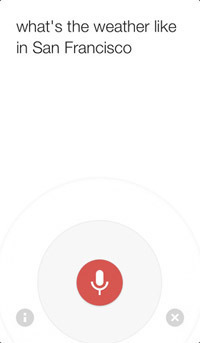 If you have an Android phone, the Voice Search app is available in Google Play. Available on Android, iOS, Windows Phone. Price: Free. 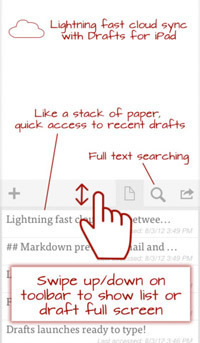 Drafts is a quick and easy way to capture and share text. Open the app and get a blank draft ready to type. Get text down quickly — decide what to do with it later. Send text to Twitter, Facebook, email, SMS, a calendar event. Quickly save it to Dropbox or Evernote, or forward it to other apps, such as OmniFocus, Things, The Hit List, Byword, Sparrow and more. Available for iOS. Price: $2.99. 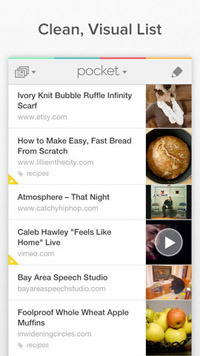 Pocket lets you save and view articles, videos and more. Use Pocket when you discover an interesting article, video, or web page, but don’t have time to view it. Once it’s in Pocket, it’s on your phone, tablet or computer. Read or watch later, when you have time. Available on Android, iOS. Price: Free. 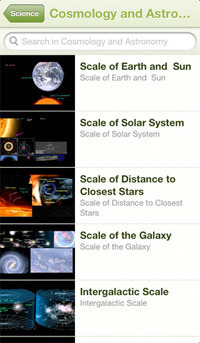 Khan Academy is an app that allows you to view Khan Academy’s complete library of over 3,500 videos. Learn almost anything for free. It covers a massive number of topics, including K-12 math, science topics such as biology, chemistry, and physics, and even the humanities with playlists on finance and history. Available on iOS. Price: Free. 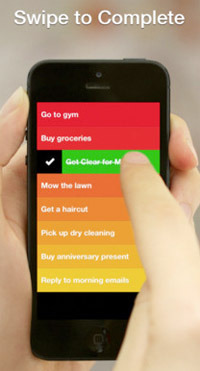 Any.DO is the popular Android to-do list app that is now available on iPhone. In addition to its clean and simple interface, it features gesture navigation, voice-to-text recognition, auto-predictive text, seamless cloud sync, time and location reminders, notes, repeating tasks, calendar view, and more. Available on Android, iOS. Price: Free. Sparrow is an iOS mail client designed to provide you with an efficient and pleasant mailing experience. Tap the top bar in the conversation to quickly navigate all messages in a thread. Swipe up or down on a message to navigate a conversation. Swipe once to uncover your mailboxes, labels and folders. Star, add a label, archive or delete a conversation right away simply by swiping a message. Available for iOS. Price: $2.99. 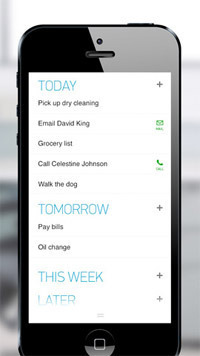 Clear is a to-do list app with a clean design and an intuitive gesture-driven interface. Store your lists in iCloud, and access them on your Mac. Swipe from the edges of your device to change between lists without having to use the menus. Available on iOS. Price: $0.99. Brewster is an address book app that replaces the age-old A-to-Z contact list with one that understands your relationships. It shows who’s trending in your life and whom you are losing touch with. It also allows you to search people by anything with quick access to the people you contact the most. Available on iOS. Price: Free. Google Drive app allows you to access your photos, documents, videos, and other files stored on your Google Drive. 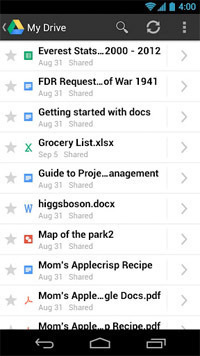 Upload files to Google Drive directly from your mobile device. Share any file with your contacts; access files others have shared with you. Make any file available offline so you can access them even when you don’t have an Internet connection. Available on Android, iOS. Price: Free. 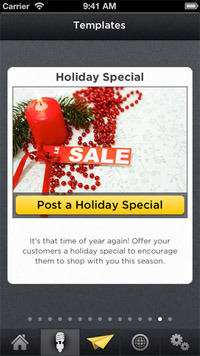 Glyder is an app to quickly create and send marketing messages from your mobile device. Send marketing messages to Facebook, Twitter, Pinterest, Apple Passbook, Address Book contacts, MailChimp lists, and Constant Contact lists. Keep your marketing messages fresh with new templates and images updated in the app every month. Available on iOS. Price: Free. 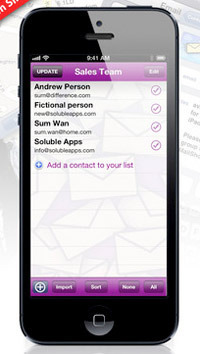 MailShot is an email app that lets you email groups of contacts right from your favorite apps. Create up to 100 groups, each with 100 or more contacts. 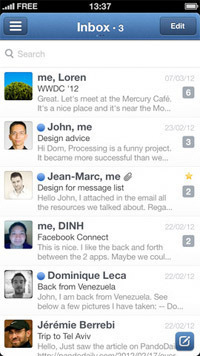 Use MailShot group contacts within almost any app. Send documents, photos, or any other attachment to a group direct from your apps. Available on iOS. Price: $3.99. 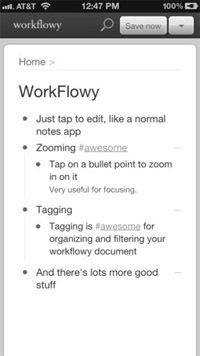 WorkFlowy is an app for taking notes, making lists, and outlining. Deceptively simple, it features infinitely nested lists, automatic syncing with your computer, collaboration with others, zoom, tag and filter functions, full text search, and notes on any item. Available on iOS. Price: Free. 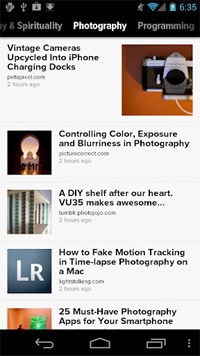 Zite is a news aggregator for your mobile device. This popular iOS app is now on Android and Windows Phone. Zite automatically learns what you like and gets smarter every time you use it. Use Zite to sift through information and identify the content that’s important to you. Available on Android, iOS, Windows Phone. Price: Free. ÜberConference brings a visual dimension to audio conference calling. 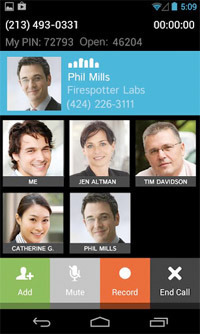 The social interface ensures you always know who’s on the call and who’s speaking. Integration with social networks allows you to learn about people on your call. All calls can be recorded and downloaded later. Participants don’t need to enter a PIN. Available on Android, iOS. Price: Free. AppSwitch is for anyone who’s recently moved to a Windows Phone but cannot find his or her favorite apps. 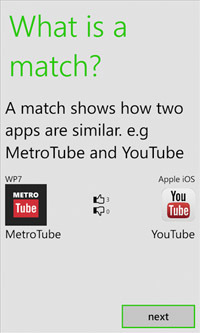 AppSwitch finds Windows Phone replacements for Google Android or Apple iOS apps. Browse latest, popular, and top rated matches or search for your favorite app and see if it’s available. Available for Windows Phone. Price: Free.